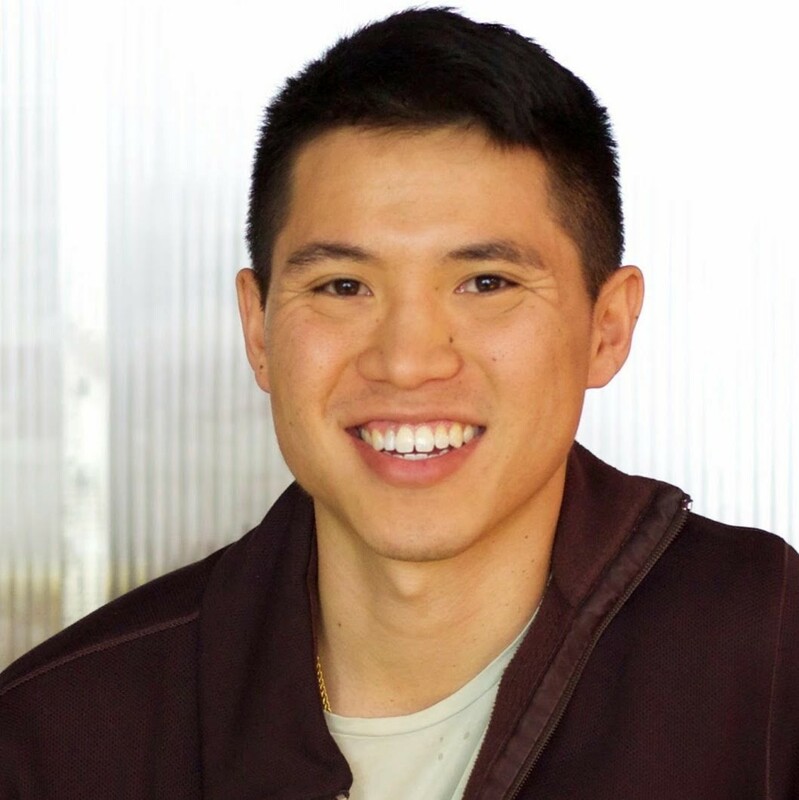 Last month, we welcomed Jason Li to Ironclad as our VP of Engineering. At Ironclad, he’ll be working alongside our CTO, Cai GoGwilt, to grow and support a world-class engineering and product team. A hardware engineer by training, Jason intentionally navigated his career to accumulate a broad set of technical and non-technical skills. Having been VP of Engineering at both Grovo and SalesforceIQ previously, he brings to Ironclad a wealth of experience leading teams and cultivating talent. I sat down with Jason to talk about growth and learnings over his career, and what he has in store for Ironclad’s engineering team. How did you approach your career growth? I went to undergrad at Berkeley. There, they made a distinct effort to avoid teaching programming languages in specific technical stacks. Instead, we learned computer science theory, and from that theory we had to figure out the tools needed to do the project at hand. That, I think, is a really good way to learn: understand the theory, then pick up what you need as you go. So when I approached my career, I was intentional about not being pigeonholed and made an effort to try different things. In school, I studied software, but also hardware. I studied wireless circuit design: wifi chips, cell phone chips, the stuff that bridges the analog world to the digital world of computers. It’s a different and very interesting engineering problem. Trying different things works out really well in technology fields, because there are so many moments where new technologies start taking off and the demand for the skills needed to implement that new technology outpaces actual experience. So, I’ve always tried to learn and build my skill set because just by having the necessary skills to make a shift, you can get some really great opportunities. This is hard, though, because it means being ok with trying things before you’re ready. What do you mean by that — trying things before you’re ready? I think it’s key to always be pushing yourself slightly beyond your comfort level. For example, soon after I joined Plaxo (now owned by Comcast), the VP of Engineering and Head of Marketing had an idea for a new product and were looking for people to do it. Honestly, I was unqualified to do this. I was a junior engineer at the time, and they were asking me to start up the product from scratch, stand up databases…I wasn’t ready! But I did it, and I’m so glad I did because I ended up learning so much. I wasn’t perfect by any means, but you don’t have to be. For one, nobody’s perfect; two, in certain situations you’re actually not looking for perfection. You’re looking for iteration speed, value, all sorts of different things. So even though there were some bumps, it was a tremendous learning experience for me. I got tons of mentorship, I was working on interesting stuff, and most crucially, it gave me confidence in my fundamental ability to jump into new things. So, whatever your comfort level is, push yourself slightly beyond that, because if you don’t, chances are you’ll get complacent and bored. Of course, this doesn’t mean that you should be doing things you can’t do at all. But it means, don’t worry so much about being an imposter, about not being “ready.” Don’t let that paralyze you. Getting comfortable with being uncomfortable is important. How do you do that — how do you get over imposter syndrome? Whenever I feel it, I think the best antidote to imposter syndrome is to focus on the problem-solving aspect and make some progress. Put some points on the board; then, you’ll feel better. I think a lot of imposter syndrome and the fear around it comes from the feelings of murkiness around it. It feels untenable and unactionable, and that’s what makes it scary. The more you make it actionable and tactical, the more you make it solvable. I always try to be brutally honest with whatever I can do right now. What are the tasks that I need to do to improve starting today? That always helps me. What advice would you give engineers starting out in their careers? Always try to continuously learn and build your skill set set. Again, it’s important to maintain confidence in your ability to change technology stacks, to do different things. At the same time, stay humble enough to actually do the work. A piece of practical advice relating to internships, for example, is: look for internships where your work contributes to the main line. Some internships are effectively constructed projects that don’t mean anything real to the company. I think it’s much more useful to work on main line projects, where you’re doing things that mean something real to the company. You’ll feel greater pressure that way, and because of that pressure you will learn more. It’s also important to find great teams. The key with finding the right team is to make sure you’re in situations where you’re pushing yourself to tackle new problems with people who are willing to help you grow, while still being able to ensure that a significant chunk of stuff is still being put on you. How did you get into the people management side of engineering? One of the things that’s pretty cool about software engineering as a career path is that there is a strong sense of recognition around being an IC. There’s a strong understanding that the skill set required to be an IC differs from that of being a manager. That’s not true of other career paths, where to move up, you basically have to start managing people at some point. In software engineering, you don’t have to manage people in order to progress in your career, which I think is good. For me, I fell into people management initially, but have liked it more and more as my career has progressed. When I first got into people management, I was working at a startup and wearing a lot of hats. The team thought I was pretty good at communication and getting people on the same page, so I started doing more and more people management. Do you prefer the people management side of things? I think it’s really exciting. I mentioned before that I started out doing wireless engineering, which is kind of like a dark arts in engineering. Of course there’s tons of science behind it, but since you’re working with these small circuits that are designed for the digital side of the world and interacting with physics in the real world, it can be difficult to model everything accurately. You end up making a lot of approximations that rely on intuition. For me, I’ve always found that intuition part of software engineering to be really fun. So I find the people management part to be fun because there’s more intuition and fuzziness involved. People aren’t just 1+1=2, and they don’t always work as expected. That’s what makes it so exciting to me. People management is not for everyone, though. Compared to being an IC, the feedback loop is very different. If you’re writing code, you know you contributed to your team when you get code out to production. But when you’re managing people, there’s very little you can point to and say, I did that for sure. It’s more that you (hopefully) made the team X percentage more productive and happier. That change happens on a longer time scale, as well. If you coach somebody to develop something, for example, that’s going to take a while to see. Why did you choose to get into legal tech? Lawyers are such an interesting group because there are so many parallels to how engineers and lawyers think. Both are logical. Contracts are like code, just for the legal system. One big difference is that lawyers don’t have great technology to work with, which makes for an exciting and challenging engineering problem. I think there’s a lot of value in industries that don’t have the software tooling they could have to be productive, and legal tech is definitely less sophisticated than it could be. Legal is an under-addressed industry, and generally there are a lot of opportunities around enterprise software for under-addressed fields. Also, there are a lot of engineering challenges when it comes to tackling legal problems. All the history around how the legal system works, for example, and the conversion of legal language into software, adds interesting complexities to software engineering. Why did you decide to join Ironclad? One: The founders are extremely intentional about how they’re going to achieve the company vision. On the product side, for example, we have this vision of creating the first contracts intelligence technology. But the approach is very methodical. We know there’s a lot of low-hanging fruit that can be built for legal departments right now. There’s a clear value proposition from the get-go. But you can also see how solving those problems will enable data analytics tomorrow. And in the even longer term, that is what will enable the future vision of contracts intelligence. Meanwhile, there are a lot of services that pitch data and machine learning, but unless you have a big trove of data, there’s nothing you can do — and you need a lot of data! There is clearly value in contracts and contract metadata over time. But how are you gonna extract that value? You need to collect the data first. And with Ironclad, our product intentionally makes the process for collecting that data — for creating a single source of all contracts data — automatic, so that the machine learning gets built on a solid foundation. Second, I’m a recent dad to my son, Palmer. It’s been awesome. It’s truly amazing how quickly he grows, and how quickly life acquires greater purpose and focus. But anyways, one great thing about Ironclad is how committed the founders are to enabling fatherhood and work possible. I was open with Jason and Cai from the get-go that I want to spend time with my kid, and they made it clear that that’s doable here. But it’s not just their word. It’s easy to say you support these things and then not execute on it. At Ironclad, there are people with kids who are able to achieve balance. People take vacation, they take their kids to school. I think the founders have created a great environment for people who care about spending time with their families. Really excited about recruiting! I’m looking for software engineers who are excited, passionate, and who want to learn. Anyone who’s interested in joining a high-impact role on a team that’s very collaborative, please reach out! Interested in working with Jason? We’re hiring! Apply through our Careers Page or reach out to careers@ironcladapp.com if you’re interested.